We’ve just started a pilot thermal imaging project for homes on Springcroft Avenue, off Fortis Green. 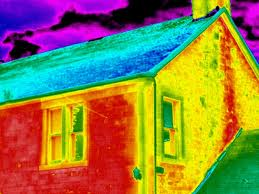 Thermal images are great for showing up where heat is leaking out, pinpointing where action needs to be taken to boost draughtproofing and insulation. We’re hoping to take thermal image photos of most of the homes in the street, allowing residents to compare their homes with their neighbours. Three MHSG members have undertaken thermal imaging training at Cambridge Carbon Footprint, and if the pilot project is successful we’ll look to roll out to other streets too.